Taffeta is a crisp, noisy fabric that rustles when you walk! It is used widely for full skirts, evening wear and party dresses! 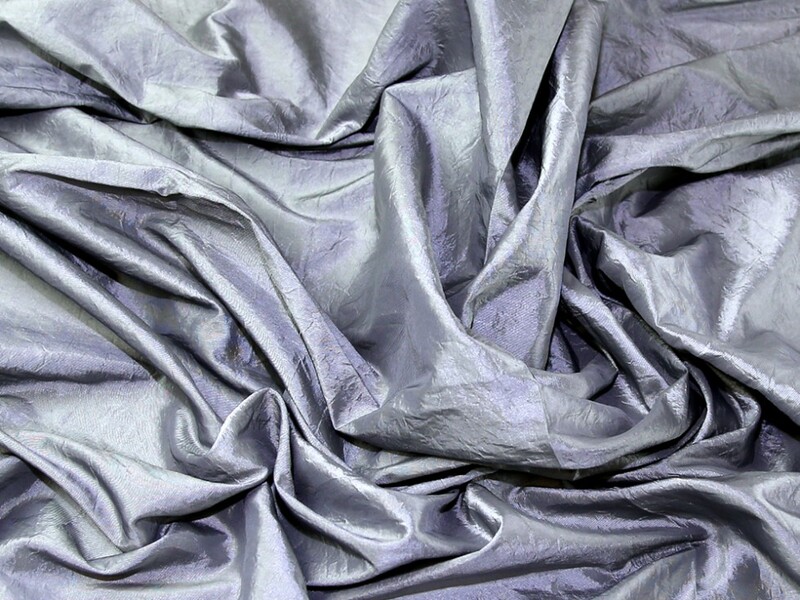 Our crushed shot taffeta has the most fabulous textures that really adds something to an otherwise plain fabric. It is an interesting fabric to work with., it is non stretch, relatively easy to sew and will hold its shape in structured or full styles.